Join the Library for a celebration of all children and cultures at Día de los Niños on April 27! Promoting the importance of literacy for children from all linguistic and cultural backgrounds, Día de los Niños is an afternoon filled with performances, stories a bounce house and more. Everyone is invited to the East Arlington Branch from noon to 4 p.m. on Saturday, April 27. Día is a nationally recognized celebration that emphasizes the importance of literacy for all children from all backgrounds. Families can enjoy a bounce house provided by Arlington Parks and Recreation as well as snacks donated by Ben Thanh Plaza and Kona Ice donated by the Arlington Police Department’s Amigos en Azul. Don’t miss live performances by local arts groups! 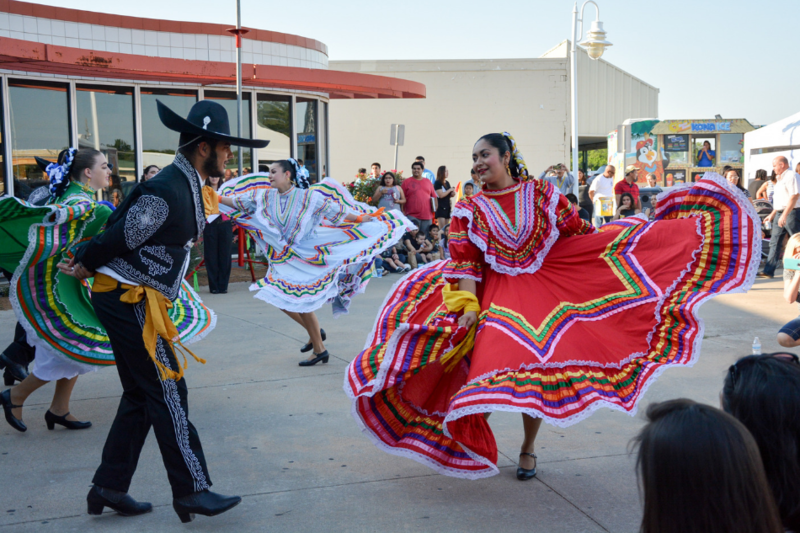 Dancers and artists include Thornton Ballet Folklorico, Rankin Step Team, Sam Houston Ballet Folklorico, Tu Van Lion Dance Troup, Tamborazo Dinastia Chavez, and the UTA Saxophone Choir. Library staff will give storytimes in Spanish, Mandarin and Vietnamese. Mark your calendars for Saturday, April 27 from noon to 4 p.m. and enjoy an afternoon of multicultural literacy fun at Día de los Niños.